This chapter explores affective resonances between bodies and direct theoretical and analytical attention to their political and ethical potential. Thereby, the chapter problematizes the concept central in much management literature of a confined, rational individual as the centre of decision-making. 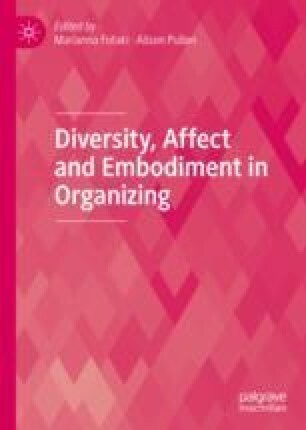 The chapter draws on concepts of affect, and feminist writing on vulnerability and corporeal generosity to analyse a conversation at a seminar for educational managers in Denmark. Pors shows how an initial emotional outburst from one manager sat in motion an embodied and affective sharing of concerns through which the managers came to oppose the political pressures they are enmeshed in. The chapter offers new possibilities for thinking about organizational ethics by attending to affective and trans-subjective ways of thinking and feeling in organizations.